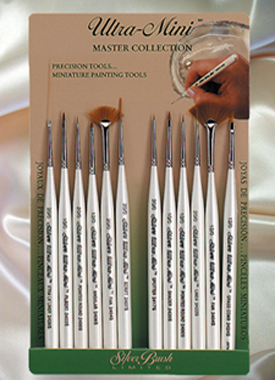 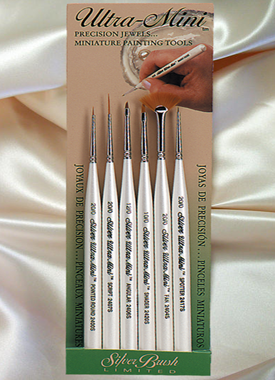 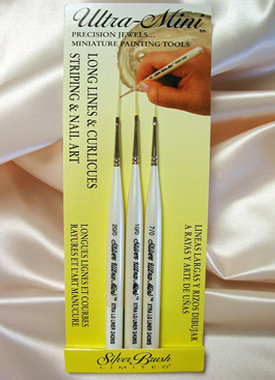 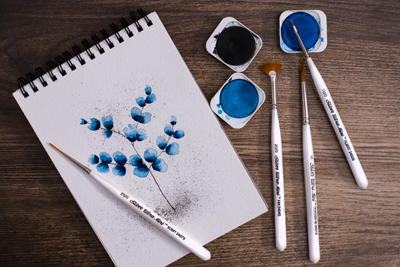 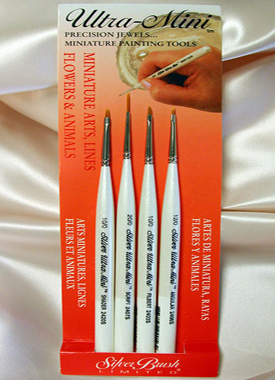 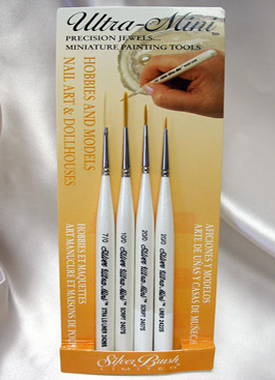 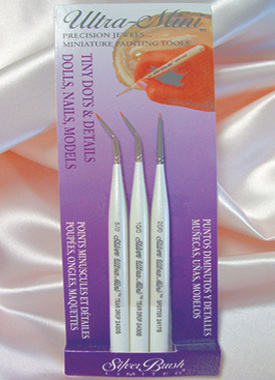 Precision Jewels – Ultra Mini® miniature painting tools are detail brushes with the artist in mind. 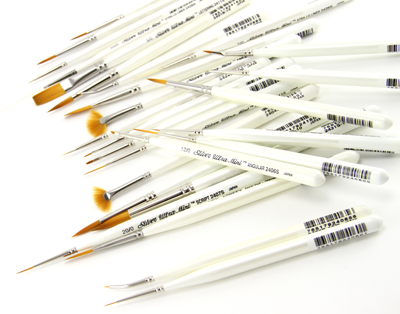 Short, Comfort Grip® handles and compact ultra-fine heads are perfect for tight spaces and they offer superb control for tiny details or miniature painting. 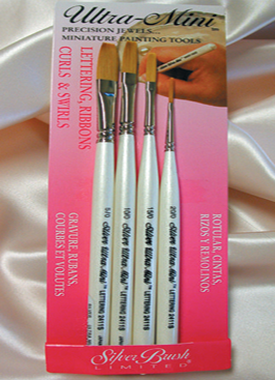 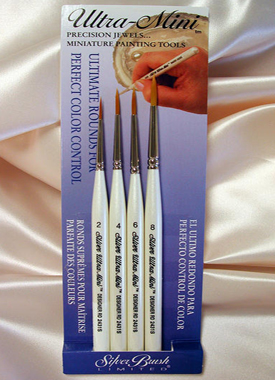 These brushes feature precise golden Taklon filaments that are set into seamless nickel plated brass ferrules and mounted on pearly white handles.